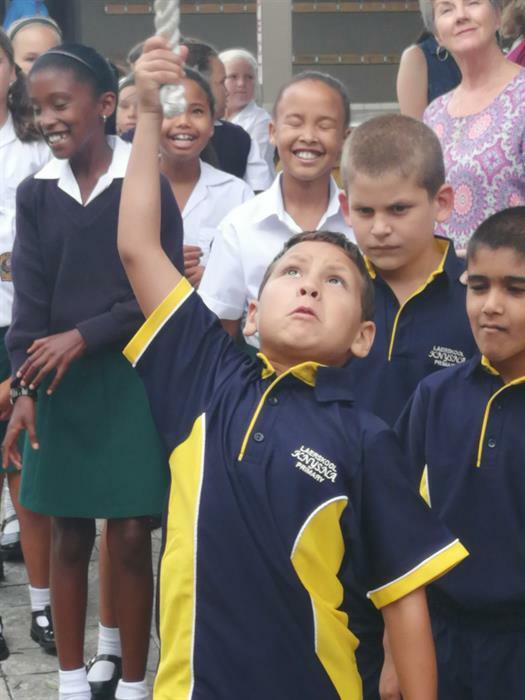 Ding dong, I'm new here! 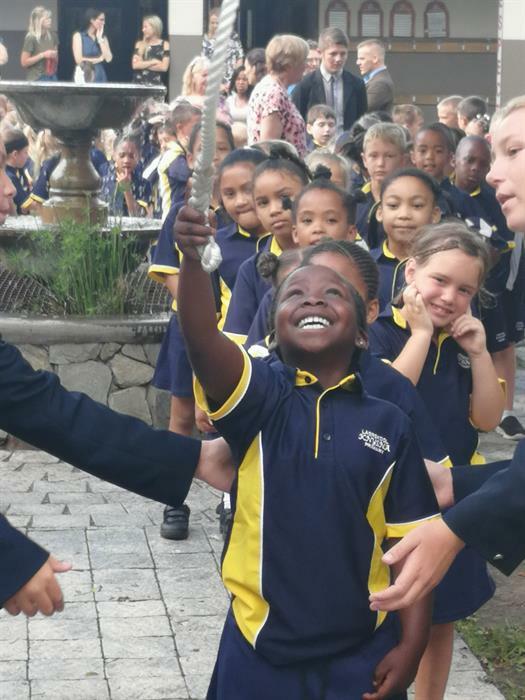 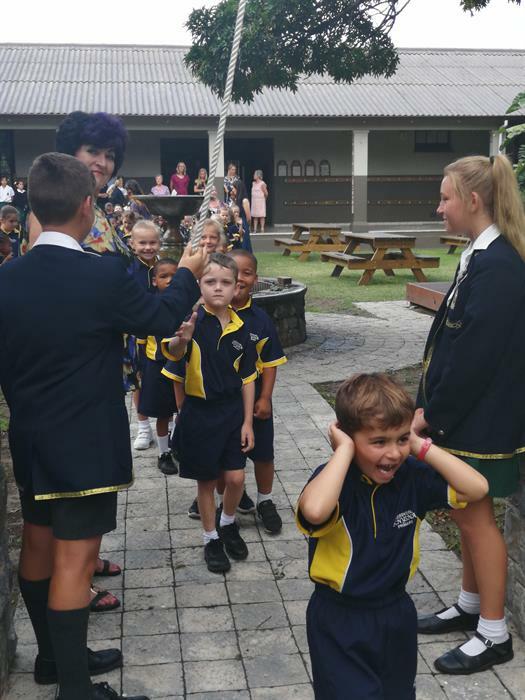 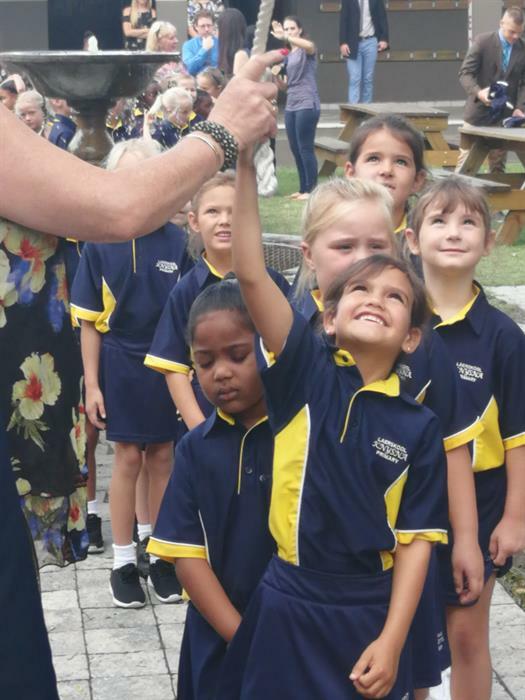 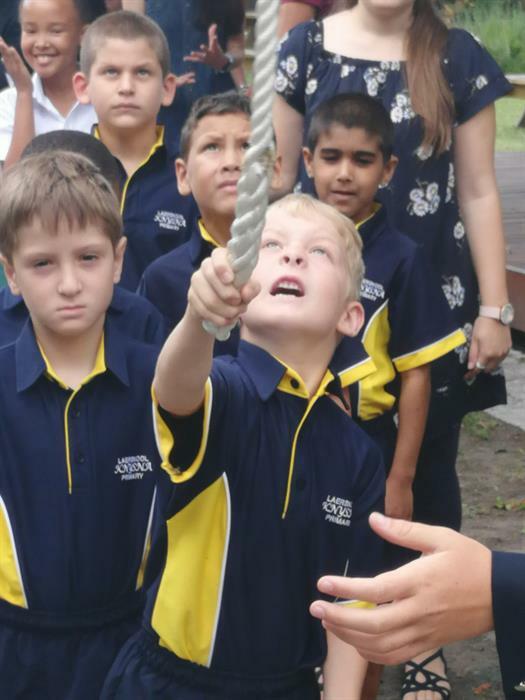 Knysna Primary School has started a new tradition: everyone entering the school as a new student or teacher must ring the bell, and again when they leave the school one day. 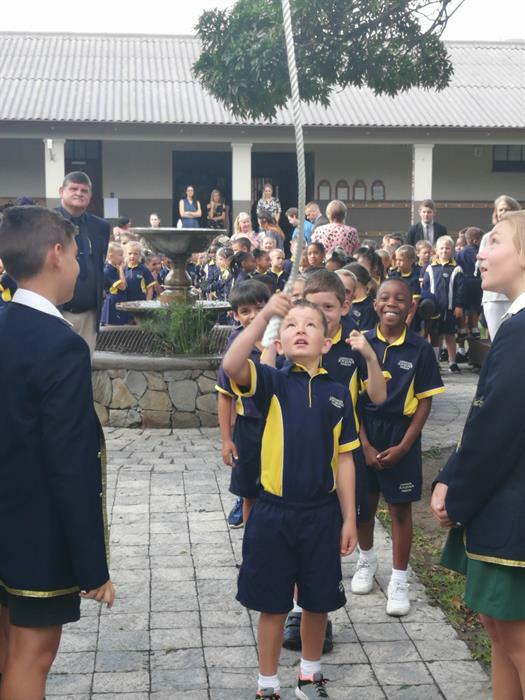 Due to the fact that the bell tower was only erected at the end of last year, everyone rang the bell for the first time on 9 January.